Do you want to learn the numbers in Portuguese? Do you want to know how to pronounce Portuguese numbers? Learn the Portuguese numbers forever in less than an hour! 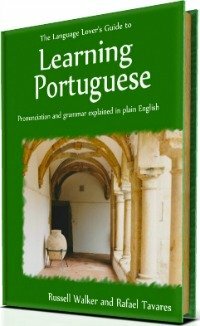 I believe you are on this page because you want to learn how to pronounce Portuguese numbers correctly, or you want to learn them, right? 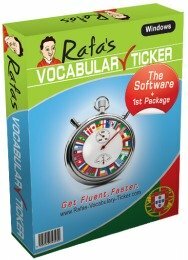 If so, by the end of this page you will feel different, because you will be able to learn how to pronounce Portuguese numbers correctly and use them in every-day situations. 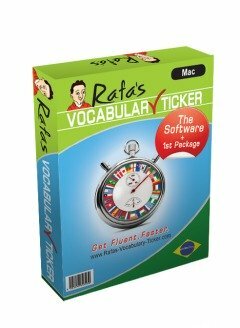 If after reading this page you still want to go further and learn how to deal with several of other situations where you need the numbers in Portuguese, I strongly recommend you to check out and try my method for learning Portuguese - Rafa's Vocabulary Ticker. Can you imagine the number of times you mention a number in a day? Someone has already done this research, and in average a normal person who doesn't work with numbers, uses them over 250 times a day! When we want to know the time, every time we buy or sell anything, catching the bus, finding an address, checking our weight, reading a book, reading the newspapers, finding which floor an apartment is on, using the elevator, filling up our car tank, watching the number of calories in our food, checking timetables, looking at our mobile phone... wow! When you know how to pronounce Portuguese numbers, if you use all these opportunities to practise them, my friend, you'll be a master! There are many interesting theories about numbers, and one of them is the fact that numbers can show how fluent you are in a foreign language. There are those who defend the opinion that if you reach a point in which you can do mathematics in a second language, this is an indicator that you are fluent in that particular language. Well, I don't think this is quite true, but I admit there is some veracity in it. Learning how to pronounce Portuguese numbers is as important as knowing the numbers themselves. But, OK, let's forget the philosophy of numbers, for the time being, and let's get started! For better results, follow my instructions. Read them again and then backwards. 6 - Seis [say-eesh] or meia [may-eeah] (in Brazilian Portuguese when telling a phone number). 7 - Sete [set] or [se-chee] in Brazil. 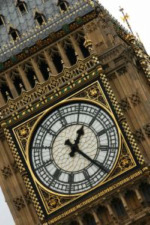 10 - Dez [desh] or [day-iss] in Brazil. Now read all of them again and then backwards. Repeat it up to 10 times if necessary. Now read these numbers with no help. Write them down the way you say them. Then check them out if you said them correctly. Write 3 long phone numbers in a piece of paper and say them as fast as you can. One digit at a time. Write 3 other long phone numbers in a piece of paper and say them as fast as you can again. One digit at a time. You must spend at least 15 minutes with these 10 numbers only, before you move forward. The more you practise, the better you know how to pronounce Portuguese numbers. When ready, go to the next stage. The next stage in learning how to pronounce Portuguese numbers will be practising numbers from 10 to 20. 16 - Dezasseis [deh-zah-say-eesh] or Dezesseis [deh-zeh-seiss] in Brazil. 17 - Dezassete [deh-zah-set] or Dezessete [chee-zeh-seh-chee] in Brazil. 18 - Dezoito [deh-zoy-too] or [chee-zoy-too] in Brazil. 19 - Dezanove [deh-zah-nov] or Dezenove [chee-zeh-noh-vee] in Brazil. 20 - Vinte [veent] or [veen-tchee] in Brazil. In order to carry on after number 20 what you should do is: Vinte e um (21), vinte e dois (22), vinte e três (23), etc..
Now let's repeat the same technique as before. Write the numbers (in digits) up to 29 and read all of them, and then backwards. Repeat it as many times as necessary. Now read those numbers with no help. Write them down the way you say them. Then check them out if you said them correctly. (e.g. 12, 15, 17, etc). You must spend at least another 15 minutes with these 10 numbers only, before you move forward. In order to achieve results in how to pronounce Portuguese numbers, you should read the pronunciation tips in brackets. In this next stage, you will be learning how to pronounce numbers from 10 to 100 in tens. 10 - Dez [desh] or [day-ss] in Brazil. 20 - Vinte [veent] or [veen-chee] in Brazil. 100 - Cem [saing] or [seh-ing] in Brazil. After 100 what you do is cento e um (101), cento e dois (102), cento e três (103), cento e trinta, (130), cento e quarenta e cinco (145), etc. Please notice that "cem" is for a full hundred only. After 100 you must say "cento", like cento e um (101), cento e dois (102), etc..
Now let's repeat, once again, the same technique as before. Read all of them again and then backwards. Write them down and repeat them as many times as necessary. I'll remind you once again that in order to know how to pronounce Portuguese numbers you have to repeat them a lot, and correctly. Now read those numbers again, but backwards. Write them down the way you say them. Then check them out if you said them correctly. Write 3 long phone numbers on a piece of paper and say them in groups of 2 numbers, as fast as you can (e.g. 12, 55, 87, etc). You must spend at least another 15 minutes with these numbers before you move forward. That's a good way to get to know how to pronounce Portuguese numbers, without hassle. The next stage will be numbers from 100 to 1000 in hundreds. You are further than half way of learning how to pronounce Portuguese numbers. So, let's go! 1000 - Mil [meal] or [mee-oo] in Brazil. After 200 what you do is duzentos e um (201), duzentos e dois (202), duzentos e três (203), duzentos e trinta, (230), duzentos e quarenta e cinco (245), etc.. Please notice that you must connect hundreds with tens and units with e, like 368 = trezentos e sessenta e oito. Write random numbers down and read all of them again and then backwards. Repeat this exercise as many times as necessary. Now read those numbers again, but backwards again. Write them down the way you say them. Then check them out if you said them correctly. Write 3 long numbers of 12 digits each in a piece of paper and say them in groups of 3 digits, as fast as you can (e.g. 112, 455, 687, etc). You must spend at least about 10 minutes with these numbers before you move forward. Remember that your knowledge of how to pronounce Portuguese numbers is getting broader and broader. You got to this stage? Well done! From now on it's a piece of cake. You know the numbers up to 10, from 10 to 20, from 20 to 100, and from 100 to 1000. You know how to say in Portuguese 1000, right? So the way you say 2000 is "dois mil", and 3000 is "três mil", and so on. You can go up to 999,999 "novecentos e noventa e nove mil, novecentos e noventa e nove". Now, you just need to learn how to say "a million", and "a billion" in Portuguese. Um milhão [ung mee-lyee-aung] = 1.000.000. Dois milhões [doh-eesh mee-lyee-oingsh] = 2.000.000. Três milhões [traysh mee-lyee-oingsh] = 3.000.000, etc..
Dois biliões [doh-eesh bee-lyee-oingsh] = 2 billion. In Brazilian Portuguese you write "bilhão" but the pronunciation is pretty much the same. Note: You might have noticed that I separated the millions from the thousands with a "dot". In Portuguese you do the opposite as in English. You separate Thousands from hundreds with "pontos" (dots), and decimal numbers with "vírgulas" (commas). You know by now how to pronounce Portuguese numbers. Exercise them often. Maybe "duas" or "três" times a day, before you go on holidays or before you meet your Portuguese speaking friends.